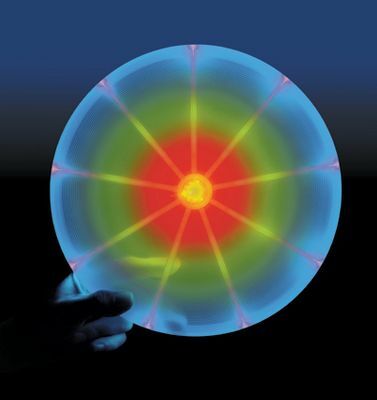 Designed for superior flight, the Flashflight LED Dog Discuit is a soft-touch plastic flying disc made specifically for nighttime play with your disc-loving dog. 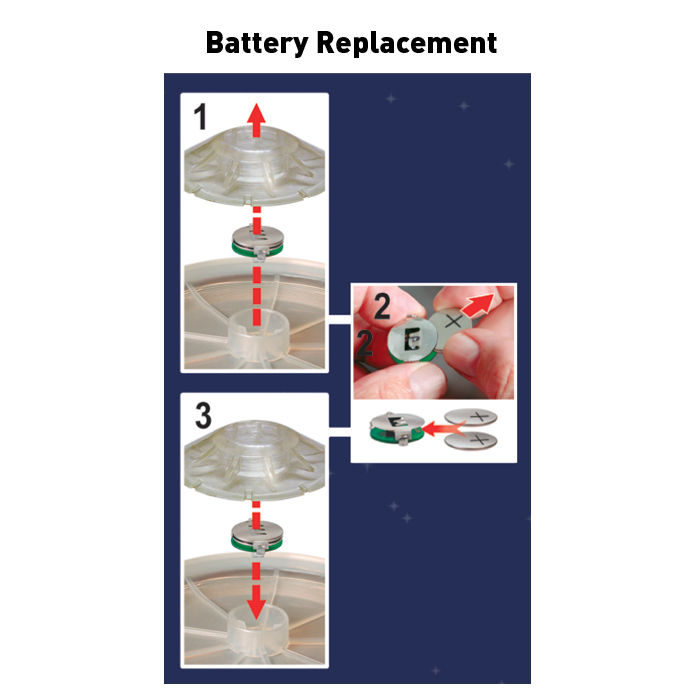 It's illuminated by a super-efficient, long-lasting LED, so it glows brightly in the dark. The Dog Discuit is not only super fun, it's mouth friendly, bite durable, and has a canine-resistant cap that helps prevent dogs from chewing off the battery and LED housing. 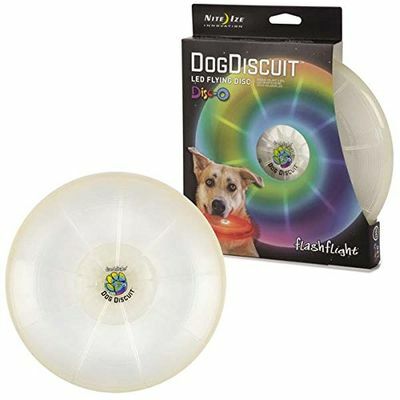 Available in our fun, color changing Disc-O LED color, the Dog Discuit comes with two replaceable, long-life batteries, for endless seasons of fun under the stars. 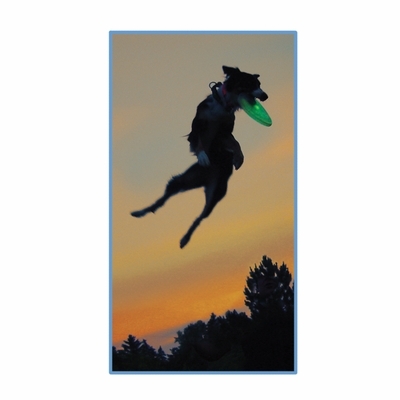 The Flashflight Dog Discuit is not a chew toy. It is intended to be an exercise toy used in a supervised setting.